Entry: $5 per person or $10 per family. 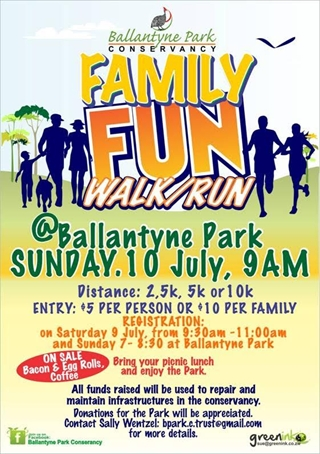 Registration: On Saturday 9 July from 9:30am - 11:00am and Sunday 10 July 7:00am - 8:30am at Ballantyne Park. On sale, bacon, egg rollsand coffee. Bring your picnic lunch and enjoy the Park.